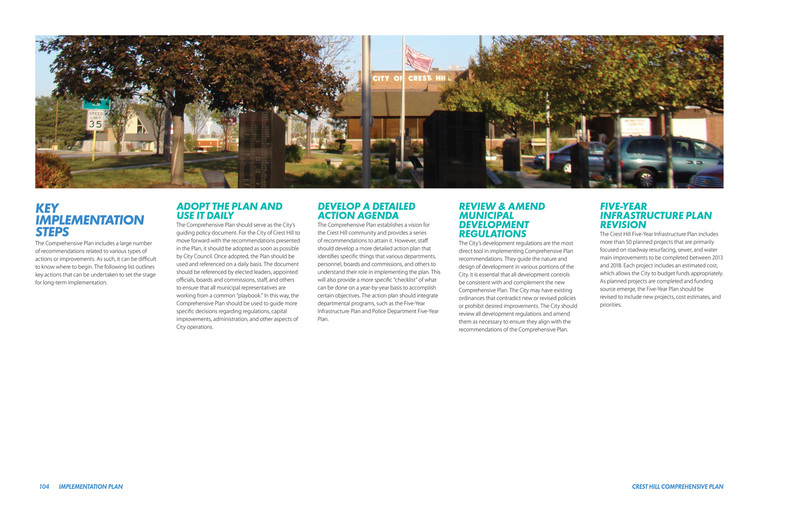 The City of Crest Hill, Illinois, is a community in transition. 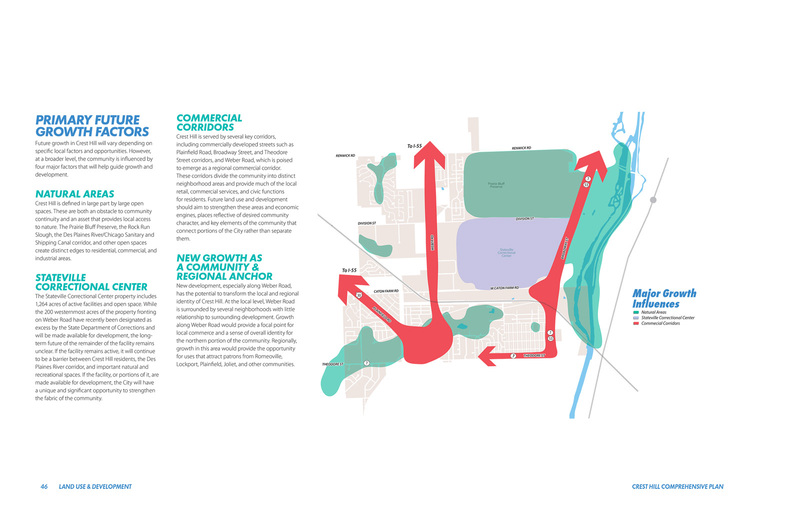 Two aging commercial corridors serve much of the older portion of the community, while emerging development areas in the City’s northern half hold the opportunity for significant residential and commercial development. 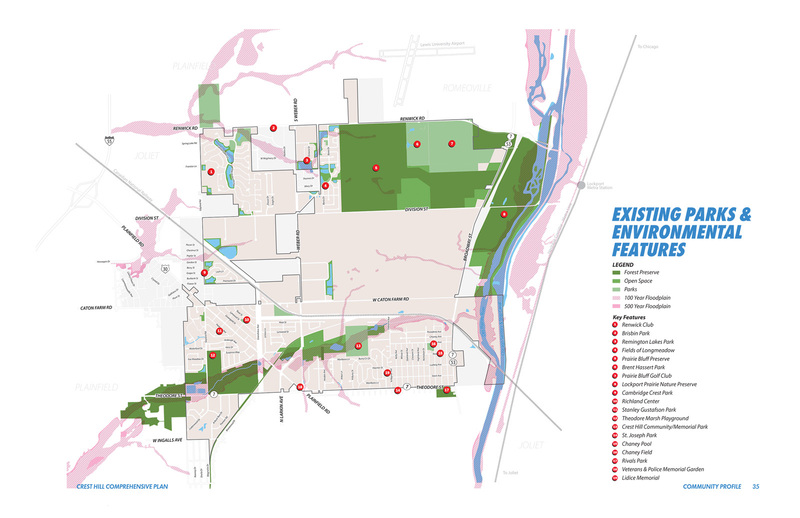 The Des Plaines River and Prairie Bluff Preserve provide large areas of dedicated open space, and the unknown future of the 1,200-acre Stateville Correctional Facility will have a significant impact on development opportunity moving forward. 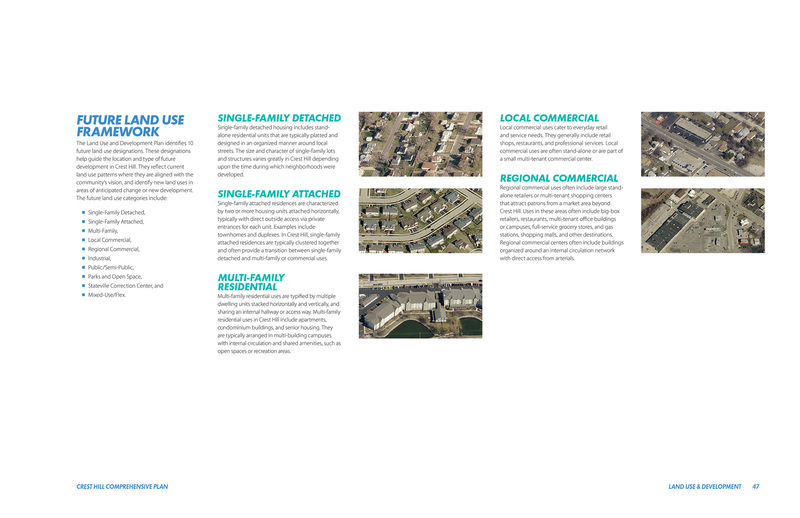 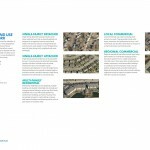 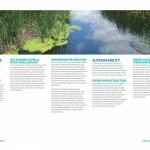 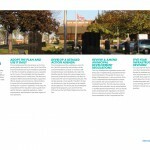 Houseal Lavigne Associates created a new Comprehensive Plan with a clear and attainable vision for the community. 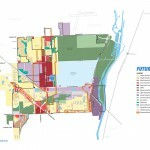 The Plan emphasizes three corridor subarea plans. 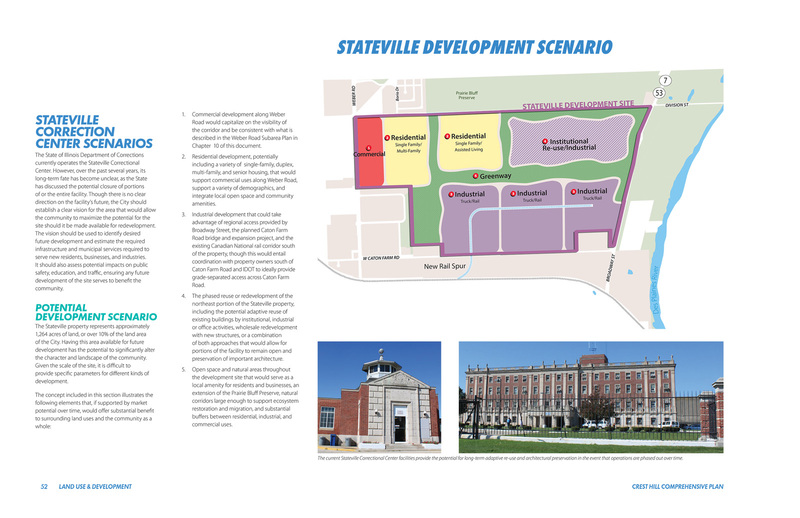 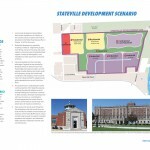 The Plainfield Road Subarea Plan aims to revitalize a commercial corridor that links Crest Hill’s traditional core to regional shopping and interstate access. 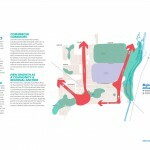 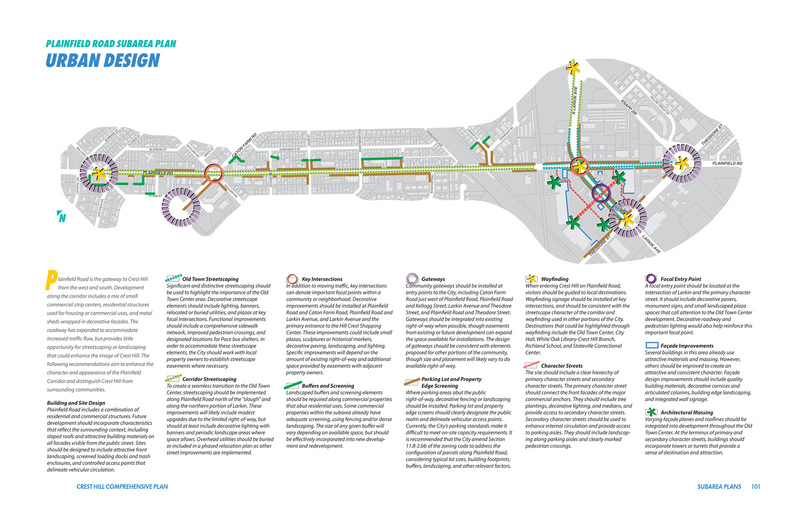 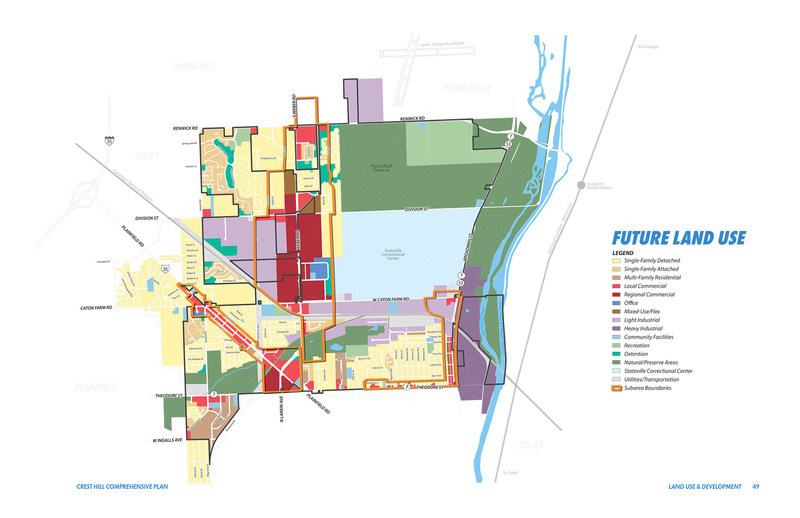 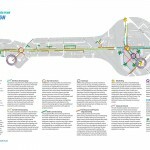 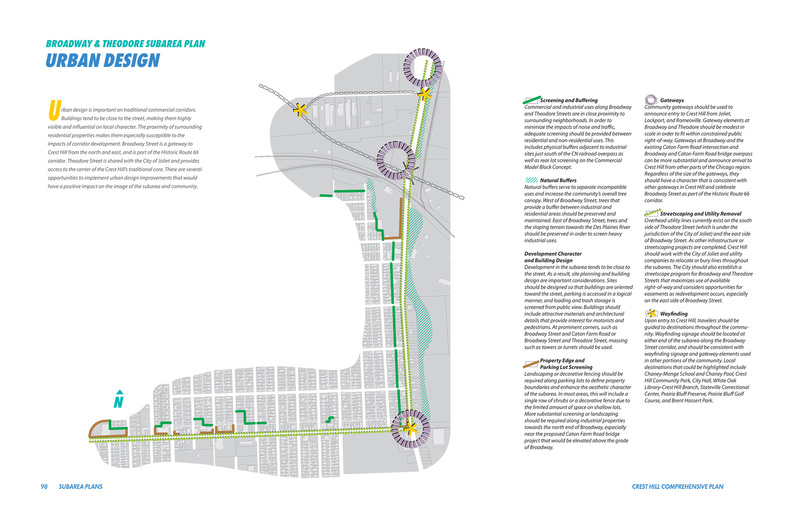 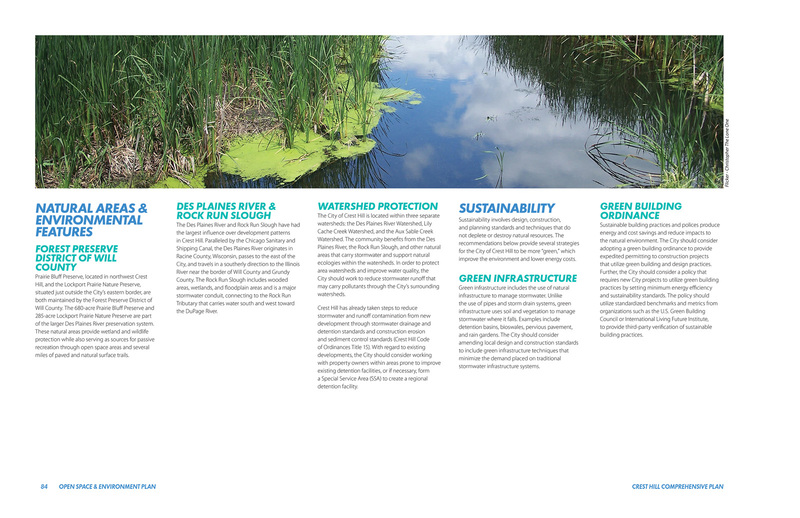 The Broadway/Theodore Subarea Plan guides the transition to additional housing and a stronger connection to the Des Plaines River. 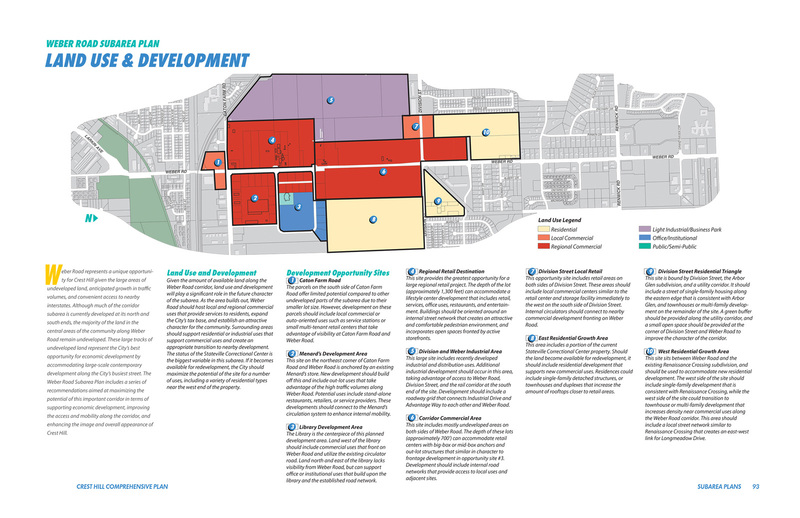 Finally, the Weber Road Subarea Plan establishes large tracts of undeveloped land for new regional-scale development aimed at strengthening Crest Hill prominence within Chicago’s southwest suburbs.